Park, a senior designer at Samsung, gave testimony claiming the design patents for the F700 were applied for in December of 2006, well before the first public announcement of Apple's iPhone. Most important are the designer's statements regarding the handset's design inspiration, which she claims came from a bowl of water and not from any Apple patents. According to Friday's filing, first reported by CNet, Park's testimony will explain that the F700's design features were borne out of function. The features include "a rectangular housing with four evenly-rounded corners, rounded edges on all four sides, a large, flat clear glass cover over the entire front face without ornamentation, a curved bezel that extends towards the back of the phone, an oblong speaker slot at the top of the front flat face, and a single optical jog button at the bottom of the front face." Apple filed a motion to exclude Park's testimony as well as any testimony regarding the F700, and has thus far been somewhat successful with a court ruling stating the handset does not constitute prior art. The Court did say, however, that evidence pertaining to the F700 would be "admissible for other purposes, including to rebut an allegation of copying." The Cupertino company's attorneys argued that testimony relating to issues of alternative design and funcitonality would be both a "waste of time" and "prejudicial," noting that Samsung already had a chance to present the F700 during cross-examination of Apple's expert witness Peter Bressler. Going into the creation history of an alternative design is clearly intended to skirt the Courts previous rulings. Going into the design history of the F700 in particular is extremely prejudicial because the risk is high that the jury will consider the F700 as evidence of independent development, invalidity, or non-infringement regardless of whether or not Samsung encourages them to do so. In short, there is no permissible purpose for which Samsung can introduce Ms. Parks testimony on the F700 that is admissible. 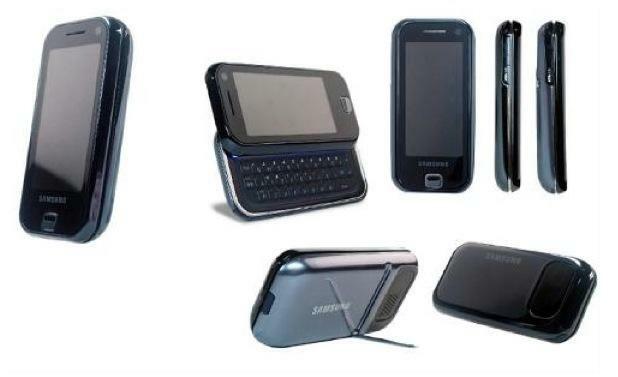 Design patents for Samsung's F700 smartphone were applied for in 2006, before the original iPhone was announced. Samsung countered by saying Park's testimony would not duplicate Bressler's, nor would it be a waste of time. The company goes further, pointing out that not allowing the Park testimony would "fundamentally undermine Samsung's functionality defense, as no other witness will offer the same testimony." The F700 was recently associated with the "leaking" of excluded court evidence by Samsung regarding a Sony-styled iPhone. A statement accompanying the excluded demonstrative slides said, "The Judges exclusion of evidence on independent creation meant that even though Apple was allowed to inaccurately argue to the jury that the F700 was an iPhone copy, Samsung was not allowed to tell the jury the full story and show the pre-iPhone design for that and other phones that were in development at Samsung in 2006, before the iPhone."